Hurry over to Groupon and score this great deal on a 1-year Sam's Club membership. Pay $25 and get a $5 Gift Card plus more freebies! $5 e-gift card valid online or in-club. Allow 5-7 days for delivery of e-gift card. Free rotisserie chicken (2.75lb. – a $4.98 value), an Instant Savings* offer loaded directly to the membership card within 24 hours of activating membership. I use a warehouse club for select items: Our Sam's Club has prices on milk and gasoline that blow everywhere else out of the water. With this offer, I'd consider the Sam's club membership practically FREE because I'd definitely realize the value of the freebies offered with the purchase! 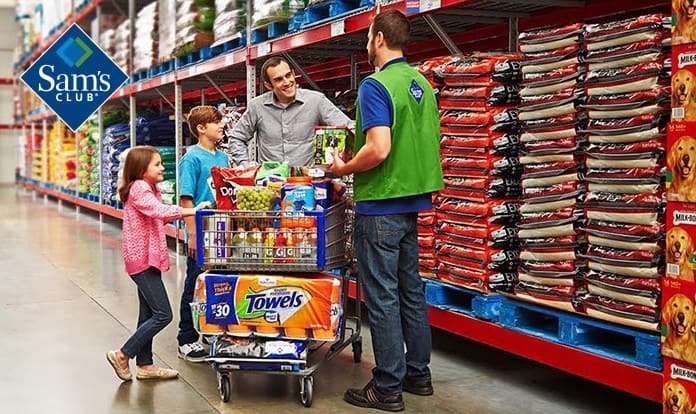 Hurry–this Groupon Sam's Club membership offer is only available for a limited time! This offer is available only to new members!